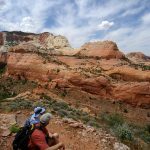 Explore the remote backcountry between Navajo Mountain and Rainbow Bridge on this pack llama supported backpacking adventure. 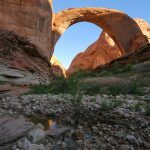 Hiking the historic North Trail to Rainbow Bridge we will be following a traditional pilgrimage route down to one of the world’s largest natural bridges. Our pack llamas will carry the majority of our supplies and people will only need to carry packs with water, lunch, and layers needed for each day. 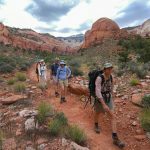 Camping along the seldom-used trail we will have plenty of time to enjoy the beautiful landscape, talk with new friends, and learn about the vast natural and cultural history of this area. Our small group will include a CFI seasoned trip leader, a Navajo hiking guide, and llama wrangler. 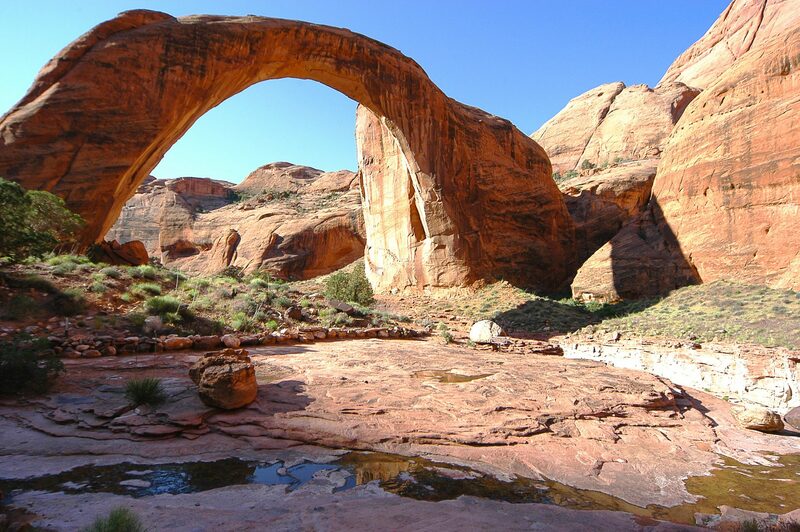 Rainbow Bridge is the earth’s largest and most beautiful natural bridge. 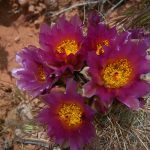 Set amid some of the planet’s most rugged and spectacular canyon country on the Utah/Arizona border, this area long remained isolated from the world. 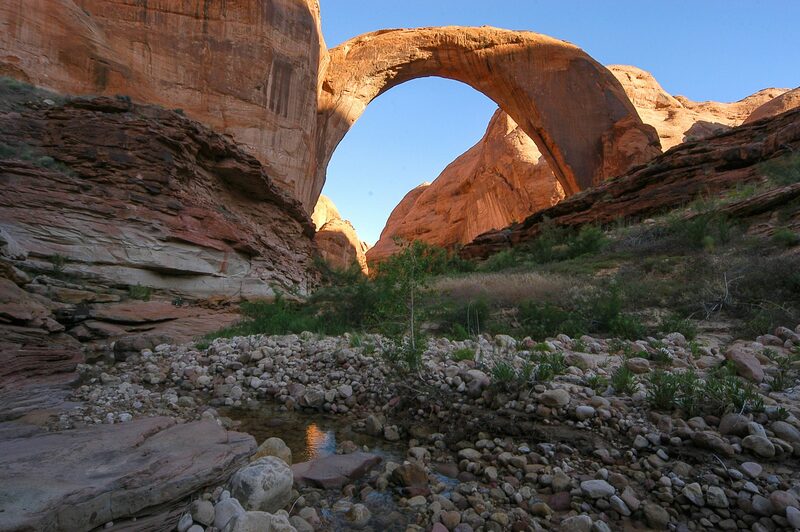 Even the Navajo did not know of the great span until the mid-19th century. When they stumbled upon it, they interpreted its symmetrical curve as symbolic of the rainbow and deemed it a sacred place, associated with life-giving rain and rain-making rituals. Only in 1909 did the official discovery by literate Anglo-Americans take place and even then, expedition members could not agree on exactly who was the first to discover what, a controversy that continues to the present day. 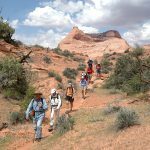 This is a very authentic cultural and hiking experience for lovers of the Colorado Plateau and one of CFI’s premier trips for nearly 30 years. Heavy rains had washed out sections making it hard for our previous trips with horse packstock. AmeriCorps trail work in recent years – thanks to financial support from prior participants – is helping with trail maintenance and we have decided to use llamas as our pack animals. 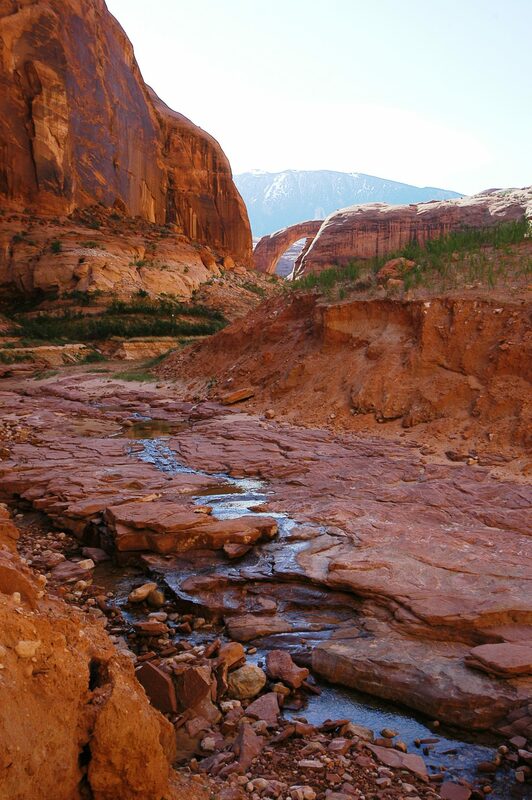 “This remains perhaps the most remote and little-known region in the conterminous United States today.” Dr. Don L. Baars, geologist, in Navajo Country: A Geologic and Natural History of the Four Corners Region. 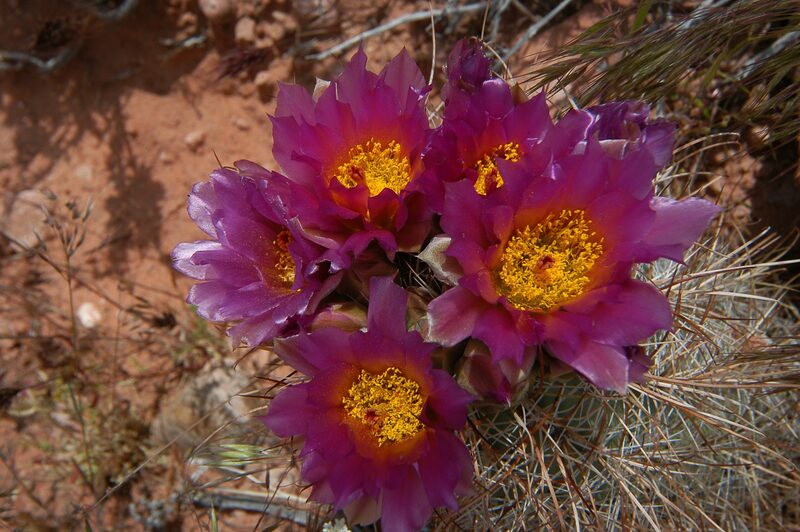 This trip starts in Page, AZ with hotel stay and orientation at 7:30 pm with our CFI trip leader. 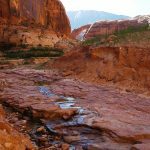 We travel to Navajo Mountain the next morning by CFI vehicle and enjoy a half day hike on the south side of Navajo Mountain to the old Rainbow Lodge site. We travel to the other side of the mountain to meet our host family and camp or stay in their guest hogan. The next four nights we spend out on the trail. 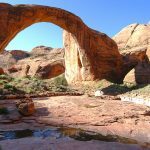 Total hiking distance on the Rainbow Trail is approximately fourteen miles to Rainbow Bridge and Lake Powell. We take a slow pace due to trail challenges and to have time to see some cultural sites and take in the stunning beauty of this place. Our route is very rocky in spots with light stream crossings. 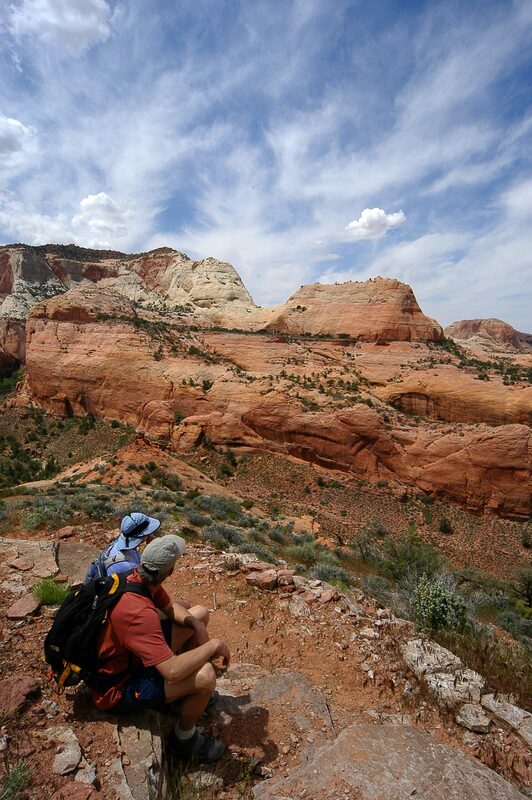 The hike is moderate to strenuous in nature, covering three to four miles per day with elevation drop and gains of about 500 feet. 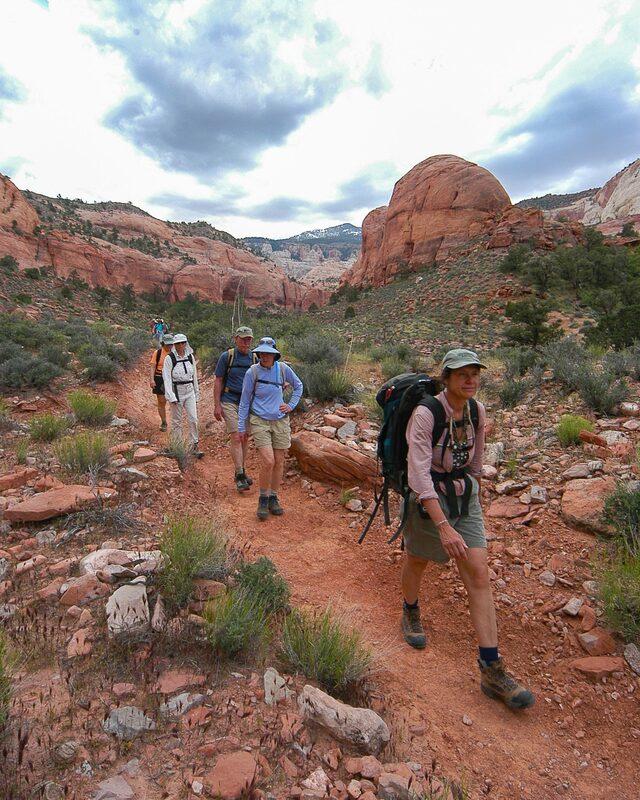 There will be time for additional side hikes from camp for those who wish. The final day a chartered boat will take us across Lake Powell to Wahweap Marina, Page, AZ. We get you to the hotel where we first met and your cars are parked. The boat usually arrives at the marina between 2 and 3pm. Lodging this night is NOT included in our plans or your fee so please make advance reservations here or elsewhere in Page or down the road at your next destination. Hikers carry day packs with their clothing, drinking water and lunch for the day. The pack string carries our sleeping gear, food, and kitchen. 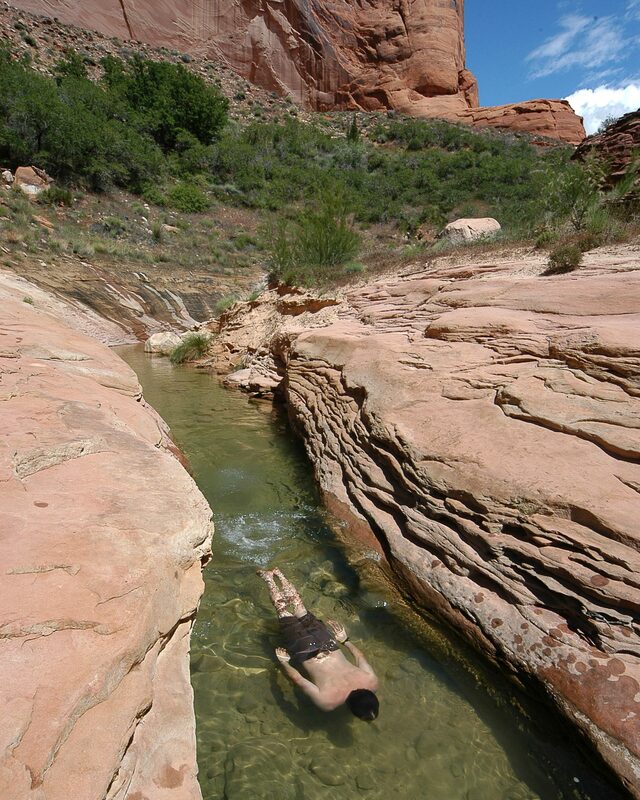 Camp life is filled with stories of Navajo culture, geology, and history by CFI staff and time for personal reflection. 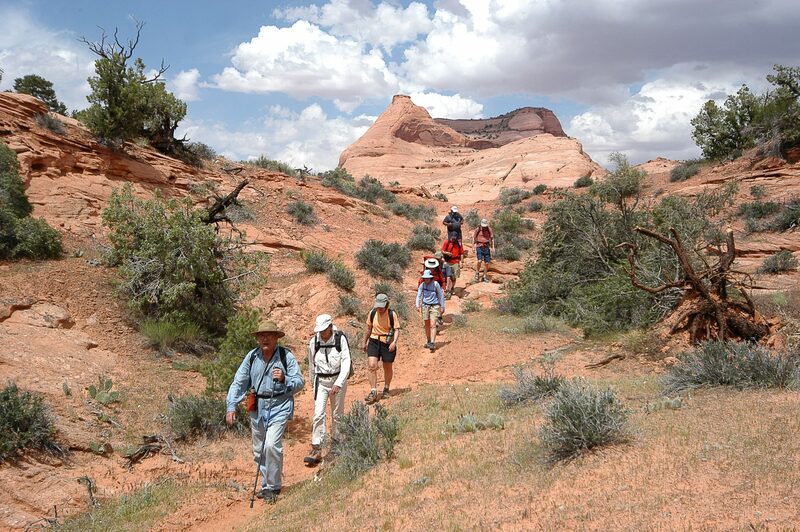 Trip price includes a $135 donation to our Navajo Mountain/Rainbow Trail and Navajo Outreach Fund. Thank you!